Soup. I never realized how easy it is to make. Or that you had to put it in a blender! After my success with Pepper Soup, I decided to branch out. I had a lunch date with a client last week at Panera Bread, the week I started eating healthy. If you know me, you know I can devour a tuna sandwich on tomato basil bread, a cup of mac and cheese and whatever seasonal shortbread cookie is out. But, I am fat. And I am all in. So I ordered half a tuna sandwich on tomato basil, and a cup of black bean soup. No cookie. And, I recorded it in MyFitnessPal. 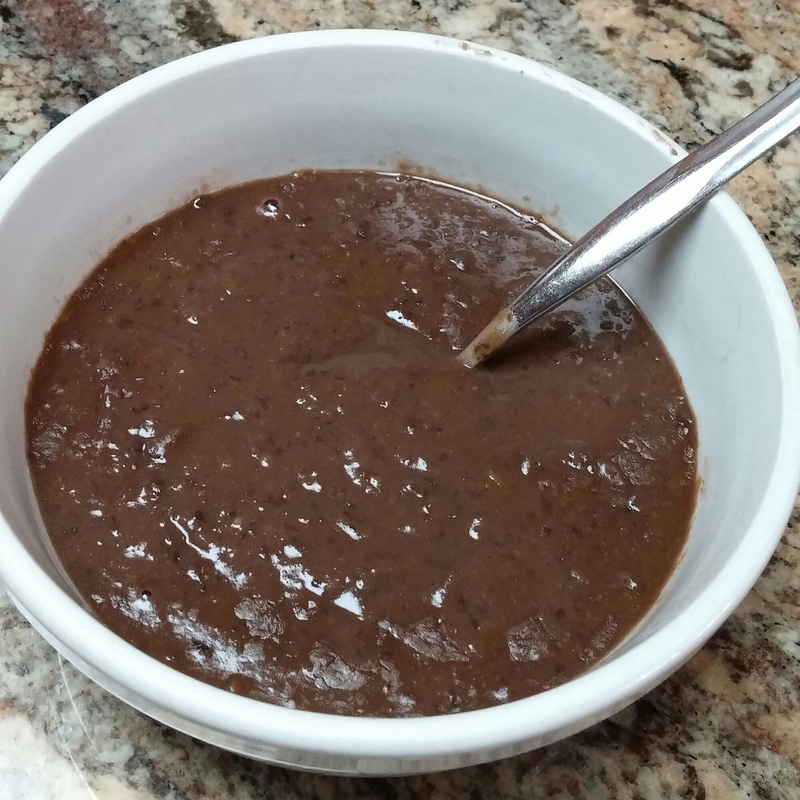 The black bean soup was so good, and full of fiber, that I decided to try it on my own! Fiber is key for me. I need it to feel good, and I have neglected it for, oh, the last 10 years. I put together a couple recipes, and the results are easy, healthy, full of fiber and tasty! So give it a try and make your lunches for the week ahead of time! 1. Dump everything in a pot and bring to a boil. Reduce heat and simmer for about 15 minutes. 2. Blend in blender, or if you have one of those awesome hand blenders, use that, til desired consistency. That’s it! So easy and so good! Plus a 1 cup serving is nice and filling because it is packed with fiber!